Municipal solid waste services are fundamental to the quality of life in our communities, our health and our environmental future. The challenge is to continue to reduce the amount of residential waste we create, and to capture the value of any waste created as a public resource. We must also extend waste reduction and recycling practices to all commercial and industrial activity. We cannot keep digging and filling up holes with our garbage or releasing toxins from its disposal into our air and water. In order to meet these challenges municipalities must retain accountability, flexibility and control over their solid waste services. Contracting out garbage services means municipalities lose control and flexibility to implement waste diversion programs like recycling and composting. The Canadian Council of Ministers of the Environment has endorsed Extended Producer Responsibility (EPR) as a way to make the private sector more responsible for final disposal of waste it introduces into the system. Companies must take responsibility for excess packaging and other waste by supporting comprehensive local recycling programs, but only publicly controlled and delivered programs will put the public interest first. It is critical that municipal governments retain control over waste collection and recycling. The introduction of industry-specific programs would reverse progress that public systems have made in diverting waste from landfill, creating a fragmented approach that takes resources away from effective public diversion programs. Stronger waste reduction, reuse, and recycling programs aimed at private industry must support effective, universally-accessible public systems. In British Columbia, legislated changes have created a new agency, known as Recycle BC, to meet EPR targets under the province’s recycling regulations. 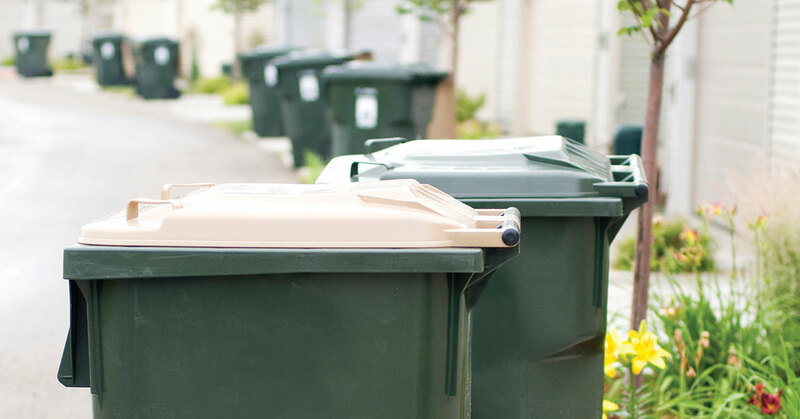 Recycle BC has been implemented with limited consultation and a problematic pricing structure. Kamloops, a number of municipalities in the Central Kootenay region and communities in the northern interior of BC have all been left out of the program. Municipalities that do participate have seen Recycle BC privatize their recycling collection, most recently in Vancouver. To make matters worse, Recycle BC has been set up outside the jurisdiction of the auditor general and the provincial Financial Administration Act. Independent studies conclude that solid waste services delivered by municipal employees are comparable in cost and efficiency to privately contracted services. There is no consistent evidence showing that contracted-out waste collection is cheaper and more efficient than public waste collection. This is confirmed by recent experience across Canada. The City of Calgary recently reaffirmed a completely public model for its garbage and recycling collection. A 2015 city-commissioned report on Calgary’s residential solid waste services recommends against contracting out collection services, finding no evidence it would deliver significant cost savings. The same report finds that Calgary’s per-pick up cost of $1.27 is well within the range of comparator cities (a mix of municipalities with fully public, fully private and combined public-private delivery), and is less than areas where waste collection is fully privatized. In 2012, the City of Toronto contracted out solid waste collection services in the western half of the city, and in early 2017 council considered a staff report that recommended contracting out the city’s remaining solid waste collection. But the city had also received a report from Ernst & Young that showed in-house collection is competitive in both cost and performance. Moreover, an earlier staff report and the EY report both found that the current model delivers high value and quality of service, and that the public sector is doing a better job than privatized service delivery when it comes to complaints, diversion, and cost. Instead of approving the staff recommendation to contract out the city’s remaining solid waste collection, council shelved the report and directed staff to produce better “performance data and financial metrics” concerning contracted-out and in-house solid waste collection. In 2011, the City of Sherbrooke, QC brought garbage collection services in house, saving the city $750,000 annually. Successful recycling and composting programs allowed the city to reduce garbage collection to once every two weeks. This meant city workers could take over the service with one new employee and one new truck. Prior to this, city workers collected garbage in the city core while private contractors handled the outlying areas. In 1998, Ottawa contracted out solid waste collection in four zones, and retained in-house collection in a fifth zone. The city is gradually contracting its garbage, compost, and recycling services back in, having faced rising contractor costs and declining public satisfaction. In 2011, an independent audit found in-house services had saved more than $5 million in four years. Ottawa’s auditor attributed the savings from using public employees to “route optimization, managing labour costs and the benefits of a new fleet [reduced maintenance costs].” In 2011, the city renewed the first in-house contract, and voted to bring a second zone back in house. In the first year of the new contracts, in-house collection led to further savings of $677,530. In 2009, the City of Port Moody, BC brought solid waste and recycling services back in house after 10 years of private provision. The contractor missed weekly pickups and provided such poor service that the city sent municipal employees to clean up the mess. Two years later, the city’s in-house waste collection won Port Moody a 2011 Solid Waste Association of North America Award of Excellence. The bronze award “recognizes outstanding solid waste reduction programs,” in this case for a communications project to change public attitudes about recycling. The city credits its staff as “recycling ambassadors” for getting the word out. After 30 years of using a private contractor, the Town of Conception Bay South, NL has brought its residential garbage collection services in house. The town is now providing the service using its own workers, and the town’s CAO says they’re saving about $230,000 a year, or $1.15 million over five years. Moreover, recycling has also been introduced, as an in-house service, and the town has taken steps to make the working conditions for collections staff safer. In April 2017, city council in Nanaimo, BC, announced a move to a new automated curbside collections system. Health and safety of the workforce was a significant factor in the decision. Injuries to the collections workforce cost the city more than $400,000 in lost time in 2014, and virtually every permanent employee had suffered a workplace injury of some sort. With automated trucks the city hopes to completely eliminate injuries caused by heavy lifting. The move to automated trucks will also allow the city to terminate its contract for recyclables collection, saving an additional $800,000 annually. For over a decade, Winnipeg has contracted out all of its solid waste collection to private companies such as Emterra and GFL Environmental. Service quality and working conditions have dramatically declined. An October 2017 study by the Canadian Centre for Policy Alternatives found that roughly half of Winnipeg’s garbage trucks were operated by precarious workers hired through temporary help agencies, rather than full-time employees of the primary contractors. These subcontracted precarious workers earn less than half of what they would have made in 2005, when the solid waste services were in-house, and they receive no benefits. The workers reported poor health and safety conditions, and an unwillingness to report injury for fear of termination. Many of the workers reported living in poverty and struggling to find affordable housing. The majority of these precarious workers were First Nation or Métis people. Unfortunately, these findings are not uncommon when public services are contracted out, and public funds subsidize exploitative and dangerous working conditions. But there is good news in Winnipeg: in early 2018 the city and CUPE 500, representing municipal workers, agreed to a two-year pilot project for in-house garbage pickup from multi-family dwellings in one zone of the city. The project begins in 2020. Public solid waste services are efficient, more committed to service and environmental sustainability, better for workers, and more accountable to the public. Let’s keep solid waste services public for clean, green cities and quality services we can depend on.